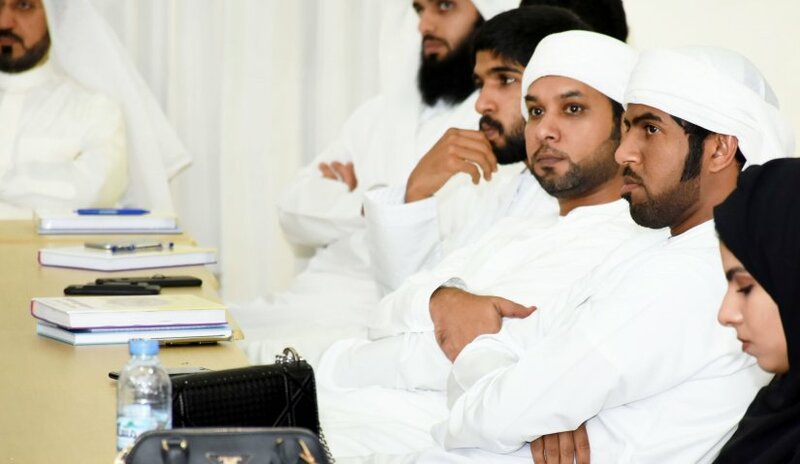 The Deanship of Student Affairs Al Falah University cooperated with General Education Department and organized a workshop on how to prepare for the International English Language Testing System exam or IELTS. Mr. Abdullah Galal from British Council in Dubai facilitated the workshop and attended by a number of students from the Colleges of Business Administration, Mass Communication and Law. Also in attendance were several faculty members and administrative staff. Mr. Galal further explained to the students the IELTS Exam System and its significance particularly as a qualification for working overseas, studying for undergraduate or postgraduate programs and completing scientific researchers. IELTS is a standardized international language proficiency test administered jointly by the British Council and the Cambridge English Language Assessment Center. A Lecture on "Public Service Career and Discipline"